Counselors at these centres can give you free advice and information about job and language training and work creation programs for newcomers. They can help you plan an effective job search and prepare a résumé of your education and experience. Each centre also has listings of available jobs on the computer or on bulletin boards. A sole proprietorship is used when the business is both owned and operated by the individual responsible for the business and its liabilities. This simple structure can avoid many legal complications. Nevertheless, it may involve some requirements such as licensing. The sole proprietorship is best suited for small businesses because all of the benefits and liabilities of the business go to the individual. Unlike a corporation, the assets of the sole proprietor are at risk for the debts and other liabilities of the enterprise. Similarly, the profits of the business go directly to the individual and are taxed in his or her hands. A partnership exists when two or more individuals or corporations carry on business together with the goal of profit. Partnerships lie exclusively within the jurisdiction of the provinces, each of which has enacted specific legislation regarding a partnership. All provinces recognize the general partnership and the limited partnership. In addition to these, the province of Québec also recognizes the undeclared partnership. exchanges of scholars to and from Canadian institutions of higher learning. In such cases, strict job-for-job reciprocity is not required. Consideration will be given to whether the worker is likely to fill a labour shortage in the Canadian market because of shortage of skills or manpower. Employer sends description of job offer to HRSDC for confirmation. If granted, copies of any confirmations are sent to potential employee. You will need to show your birth certificate, Confirmation of Permanent Residence (IMM 5292) and passport. You may also show your Permanent Resident Card. You may need to provide other documents showing your name, address and signature. In most provinces you will receive coverage as soon as you apply. Four provinces however, have a waiting period before you are eligible for a health card. Potential employee attaches confirmation(s) to the application for CIC work permit. 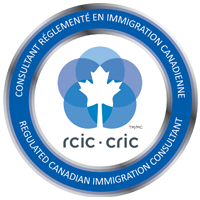 Potential employee attaches confirmation(s) to an application for CIC work permit.